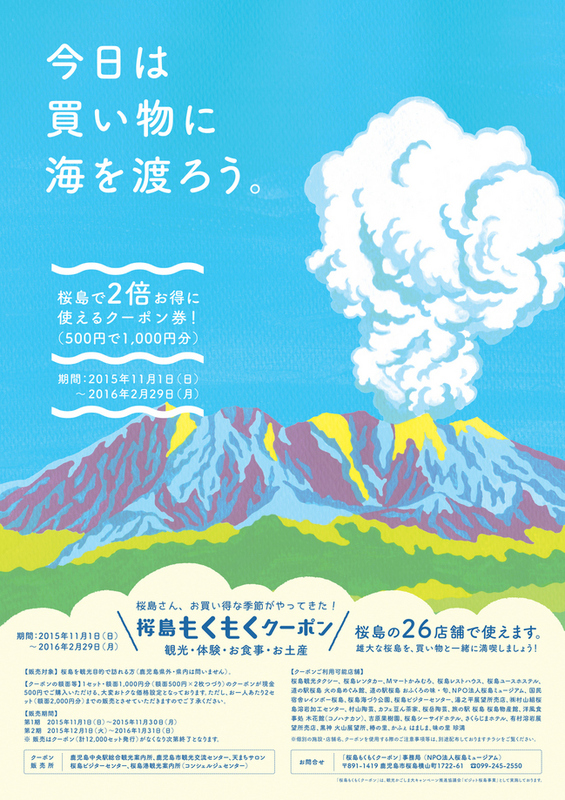 Those who come to Sakurajima for sightseeing (including residents of Kagoshima prefecture). 500 yen for 1 set of coupon (which can be used as 1000 yen).You may purchase up to 2 sets (4 coupons). *It will be finished when all coupons (12,000 sets in total) are sold out. 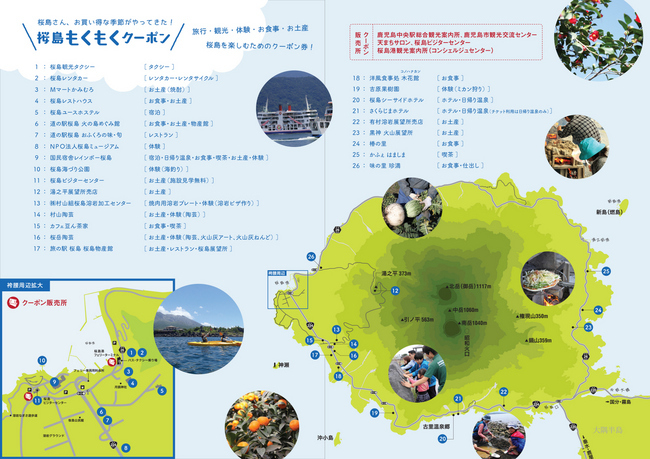 Tourism facilities in Sakurajima, souvenir shops, restaurants, hotels, activity programs, taxi (26 places in total). 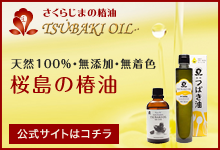 You may find a poster of "MokuMoku Coupon" at the places where you can use coupons. *You CANNOT use the coupon for local bus, sightseeing bus, Sakurajima Island View Bus, and Sakurajima ferry. *You CANNOT buy "one-day pass" for a bus or a ferry with this coupon. - You can separate coupons and use it from one ticket. - There are NO CHANGE when you use coupons. You also CANNOT change coupons into cash. - Please be careful not to lose coupons since we cannot reissue them. - Coupons are invalid for some services even it is listed on brochure.